Daniel Craig in 2012 during filming of Skyfall. What Daniel Craig wants, Daniel Craig gets. And what he wants is to make his own version of “From Russia with Love” (1963), arguably the best of the James Bond movies and Sean Connery’s favorite. And now, with the signing of Cary Fukunaga as director, it looks like Craig’s going to pull it off for his fifth and final outing as 007. All of this is presented with the certainty that the sun rises in the East and sets in the West. Journalists like Bob Woodward get away with this sort of thing because of a long track record. Also, in Woodward’s case, it’s known he has recordings of all his interviews and lots of documents. People will speak to Woodward (even if it’s not with their name attached) to make sure they come across as good as possible. IndieWire is a long-standing entertainment news website and clearly aspires to be more than British tabloids. But its latest story on Bond 25 calls on the reader to take a lot on faith without providing any information how the information was obtained. The article says Craig has been seeking a From Russia With Love-like vehicle for almost a decade, going back to when Peter Morgan was hired to work with Nearl Purvis and Robert Wade on what eventually would be Skyfall. Morgan’s misadventure in 007 screenwriting (he left the project) has been covered in the book Some Kind of Hero: The Remarkable Story of The James Bond Films by Matthew Field and Ajay Chowdhury. Is IndieWire summarizing the book? Or does IndieWire claim original reporting about this? There’s no way for the reader to know. IndieWire wrote about the Field-Chowdhury book and Morgan in a 2015 story. In turn, that article was a summary of a Digital Spy article about the book. There’s not much more to tell. If IndieWire is correct, it’s interesting for a number of reasons. The most important is Craig’s power — unprecedented among Bond actors working for Eon Productions — to determine the course of the 007 film franchise. We’ll see how it goes. 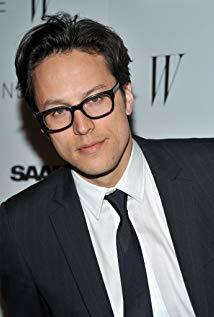 The naming of Cary Joji Fukunaga as the new director for Bond 25 quickly spurred entertainment writers and other scribes to analyze how he’ll perform. Being a movie critic or writer about movies involves making observations and expressing opinions in the most witty way you can. 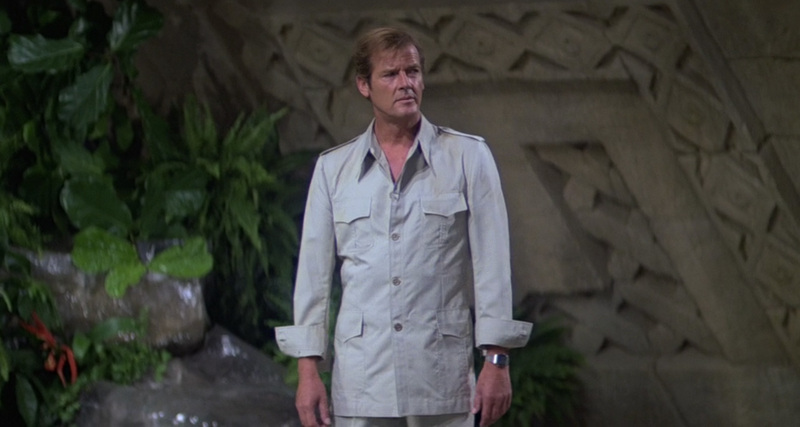 When it comes to James Bond films starring Roger Moore, the term safari suit it too tempting for some scribes to pass up. Here are a few examples that have come up over the years. 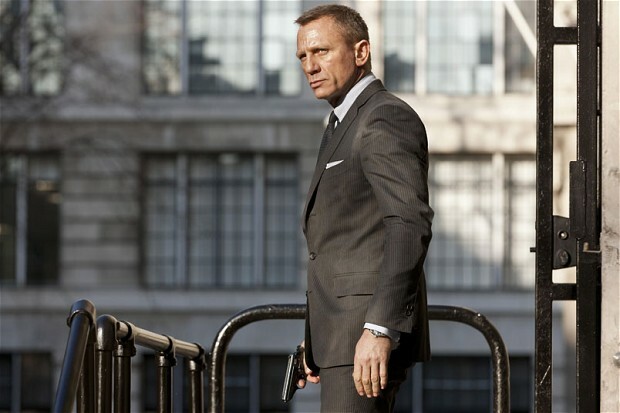 Reviews for SPECTRE continue to roll in following Wednesday’s U.K. press showing. As of Thursday night, 24th James Bond film has a “fresh” rating of 86 percent at the ROTTEN TOMATOES WEBSITE. That’s pretty high, but not quite as high as the 93 percent rating for 2012’s Skyfall. Of course, there are a lot of SPECTRE reviews yet to come in as the movie gets released early next month outside the U.K. Regardless, here are excerpts from some additional reviews from some noteable media outlets. We’ve tried to keep this as spoiler free as possible (specifically trying to keep out plot details), but the super spoiler adverse probably shouldn’t read reviews anyway. Enough with the disclaimers. Here we go. 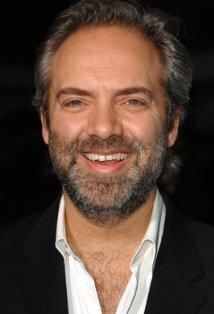 BEN TRAVIS, EVENING STANDARD: “Digging into Bond history, returning director Sam Mendes has, against all the odds, delivered a film that at least matches, and perhaps even betters, Skyfall….Spectre feels even more like a classic Bond film than previous Craig outings….Hoyte Van Hoytema’s stunning glacial cinematography reflects a Bond film totally at ease with itself. If you want to read more reviews, CLICK HERE to see Rotten Tomatoes’ list of SPECTRE reviews. There are links if you want to read entire reviews. This is a spoiler, just like the headline says. So if you don’t want spoilers, leave now. If you stick around, see the Oct. 28 update at the end of the post. 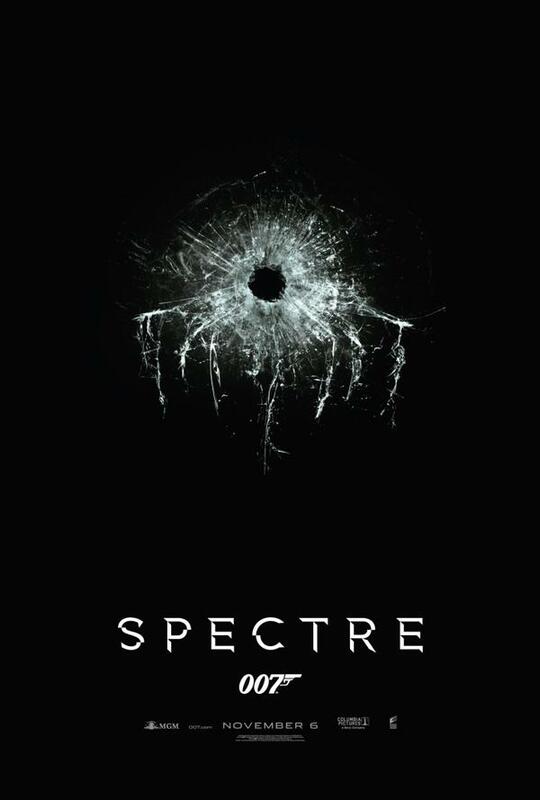 All of this began with 2006’s reboot of Bond in Casino Royale. He wasn’t *really* James Bond yet, so the traditional gunbarrel wasn’t used at the start. 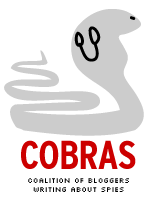 A much different logo was used just before the main titles. Then, in 2008’s Quantum of Solace, the rationale evidently was Bond wasn’t *really* Bond yet but he was at the end of the movie so it was dropped off at the end, just before the end titles. There has been no official explanation (or even acknowledgment) that Skyfall repeats the strategy of Quantum. Perhaps Bond was really Bond, but stopped being *really* Bond but he eventually gets it back, so the gunbarrel again appears at the end. Or maybe the explanation is even simpler. In 2005, Michael G. Wilson said he and his half-sister Barbara Broccoli needed “to generate something new, for ourselves” (emphasis added). The classic 007 gunbarrel of 1962-2002, created by Maurice Binder, ran at the start of the movie because the intention was to get the audience’s attention immediately. It got an updated look in GoldenEye (courtesy of Daniel Kleinman) and a CGI bullet was added with Die Another Day. On the extras of the Die Another Day DVD, composer David Arnold says something to the effect that the 10 seconds or so of the logo can make a member of the audience think they’re going to see the best James Bond movie ever. That was a different day, a different era. The gunbarrel will get tossed in, but somewhere along the line, Eon Productions has decided the classic gunbarrel (used in the original way) is obsolete. It may be included simply to protect the trademark (lest someone claim it from disuse) at the end of a movie, in a poster or a video game. Skyfall may be, at the reviews say, a great Bond movie, even (as some say) the best Bond movie. But an era has passed, nevertheless. There are some fans who take the position there are no “classic” Bond movies, only old Bond movies. For them, this is no big deal, something swept out with the trash. Yesterday’s news, as it were, and part of yesterday’s newspapers put in a recycling bin. For other fans, though, it’s the end of something. 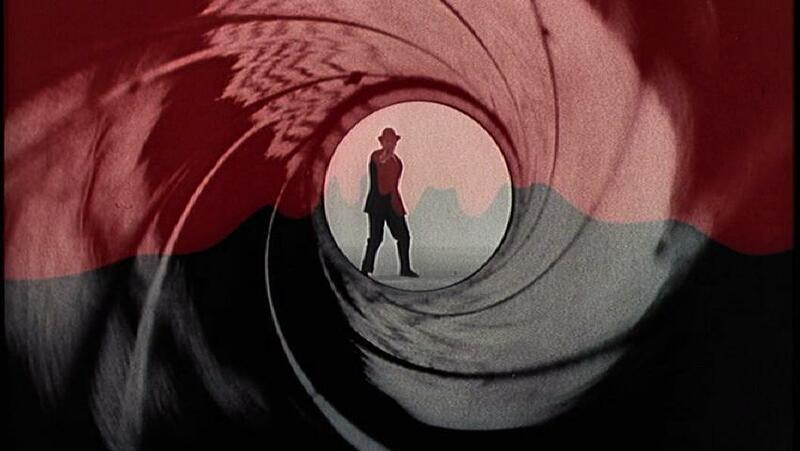 The classic gunbarrel used to be a little distinctive touch about the 007 films. At least it used to be. The gun barrel is at the end of the movie again. Is that the way it’s going to be from now on? BARBARA: It will vary from film to film. In this film there wasn’t really a place to put it at the beginning. I know that sounds kind of funny, but we looked at putting it at the beginning and we discussed it with Sam, and we just felt it was better suited for this particular film at the end. We also thought it would be a nice way to mark the fiftieth anniversary, by having our 50th anniversary logo up there, just to mark this extraordinary event of fifty years. UPDATE (Nov. 6): Mendes said he really did want to put the gunbarrel but that it “looked ridiculous” when paired with the first shot. You can CLICK HERE to read more and see a video. The new Hawaii Five-0 series seems to be ready for the February and May “sweeps,” where ratings are used to set television advertising rates. CBS said this week that James Caan, father of series regular Scott Caan, will appear on the show next month. The original Five-O series did the same thing, where that program’s Danno, James MacArthur, got to work with adoptive mother, Helen Hayes, in an eighth-season episode. Meanwhile, for May, CBS is planning a two-night Five-0/NCIS: Los Angeles crossover, according to a Jan. 11 post on the TVline Web site. And, at some point, CBS is bringing back Edward Asner to reprise a role he played in the original Five-O series for multiple episodes. That, of course, creates all sorts of continuity issues because new Five-0 is a “reboot” (i.e. starting all over again), rather than a continuation of the original. But nobody is worrying too much about that. UPDATE: We missed this one. Dennis Miller is also going to appear in a February episode, according to a post on the Digital Spy Web site.